Monday morning, three dedicated team members (and one volunteer) came into lab while the rest took a long weekend for the Fourth of July. 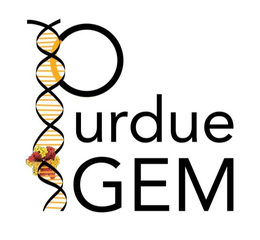 We digested the gBlock 1, 2, and 4-6 pGEM inserts, which failed, and then miniprepped the same gBlocks and digested them again. We also performed a transformation for operon ligation, RBS digests with and without ligation, and excised the PCR products. We asked for donations of Mycobacterium smegmatis to test our universal RBSs and promoter and contacted the Leukemia and Lymphoma Society for Human Practices purposes. We also researched benzene respiration data for a variety of environments, adsorption data of inhalation, and OSHA benzene regulation requirements. On Tuesday, we performed colony PCR and gel electrophoresis of the colony PCR and digestion products, which failed. A number of gels were run and also failed. Additionally, we tested the viability of Invitrogen cells, which showed that they were not competent anymore. On the bright side, we prepared a miniprep for gBlocks 1, 2, and 4-6 and GFP as well as a digestion mixture and achieved excellent results. We also uploaded universal promoter designs to Benchling and decided which designs we wanted to test. Wednesday, most of the rest of the team returned to the lab and we worked to troubleshoot our cloning with our advisors Kok and Dr. Solomon. We also ran a PCR for gBlocks 1-3 and 5-6. We also had a Skype call with SVCE Chennai in which we discussed getting them in contact with an expert in riboswitches from the University of Washington in St. Louis. They, in return, offered to distribute our survey to doctors in their area so that we can get an international medical opinion on our product. Additionally, we spoke to a very helpful expert on the lung model and decided to change our experimental design from a decellularized lung to a lung slice culture. Finally, we worked to implement Bootstrap code into our wiki and tested it on a local server. Thursday was very exciting because we had an interview with a reporter from How It Works magazine about our project and our Experiment.com campaign! We hope that this will gain us more publicity and interest in our project so that we can get more funding! We performed a DPNI digest to help with all the background in our cloning, ran PCR on gBlocks 1-3, 5, and 6 and excised bands, performed miniprep on gBlock 4, digested, and performed gel purifications. Our advisor Kok also taught us how to make electrocompetent cells to help with more of our cloning problems. On Friday, the whole gang got back together as the final member of the team returned from his vacation early. We performed Gibson on the upper operon, digested gBlock 4, ran PCR for the digestions, and excised the bands. In addition, we worked to edit our preservation protocol in preparation for the second run and iGEM Toulouse’s work. We also developed a plan for a modeling meeting scheduled for next week. Our press release was finally sent out (we had technical issues with the new Purdue email system). Finally, at the end of the day, we Skyped with the University of Iowa, who had amazing and creative ideas about collaborating with us!